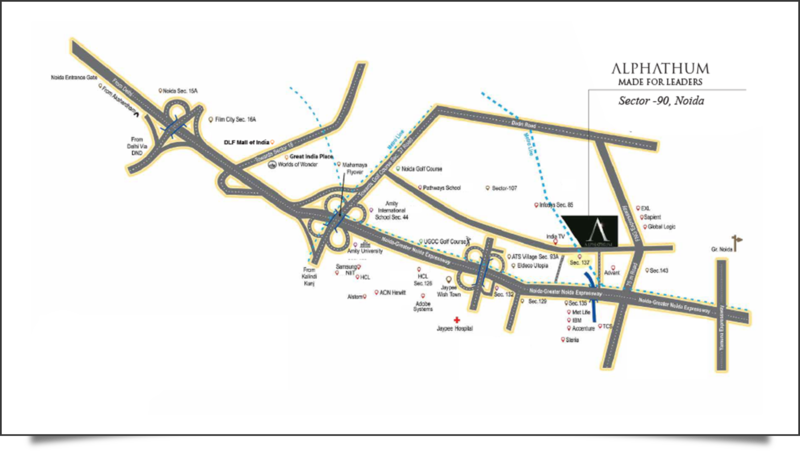 Alphathum is an iconic under construction commercial project consisting of office spaces, retail shops and studio apartments located on the Noida Expressway. Designed by state of the art architecture its three high rise towers are linked together by a roof top zen garden having the world’s largest infinity pool. Whether you are planning to start a new business or take an existing one to a new level, Alphathum is where you should be.